Windmill Place is a medium-sized select development of just 17 beautiful three, four and five bedroom houses. The generous accommodation is perfect for people looking to downsize or alternatively for first homebuyers or small families, with ample living space throughout and spectacular attention to detail, including utility rooms for each plot. 50% Reserved & Sold. 8 SOLD & RESERVED, JUST 9 UNITS AVAILABLE. 1-12 Oakwood Close, Five Ashdown, Uckfield TN22 3EF. 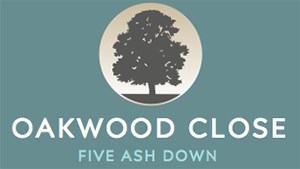 An exclusive development of 12 two, three and five bedroom homes located in Five Ash Down, Uckfield TN22 3EF. Situated just a 3 minute walk from East Grinstead Train Station, with parking available for most plots and benefitting a lift to all floors, this fine development is comprised of 1-bed flats, 2-bed flats and a selection of unique penthouse flats of which some benefit from a sun terrace. Perfect for investors, first time buyers, or professionals who require to travel to London daily. MORE INFORMATION COMING SOON. SHOW HOME DUE TO OPEN SUMMER 2019. 1-26 Elizabeth House, 1 Christopher Road, East Grinstead RH19 3BT. An exclusive development of 26 spacious 1-bed, 2-bed and Penthouses flats in the heart of East Grinstead’s town centre.